I am very grateful to Els who has written this delightful news for us about the holiday school. We chose to work with mostly Primary 1 and some Nursery children as we can no longer accommodate all the children we are helping. I feel sure you will enjoy it. The school year in Rwanda is different from what we are used to in Europe, where the school year starts in September and ends in June. In Rwanda the school year starts in February and runs up to November. In July there was a holiday of two weeks, a break between second and third term. We used these two weeks to have some holiday activities with the children at Meg Foundation. At the same time, we had a visitor from Spain. She introduced the children to puppets: making all different kinds of puppets, making masks and also using the puppets in a little show. 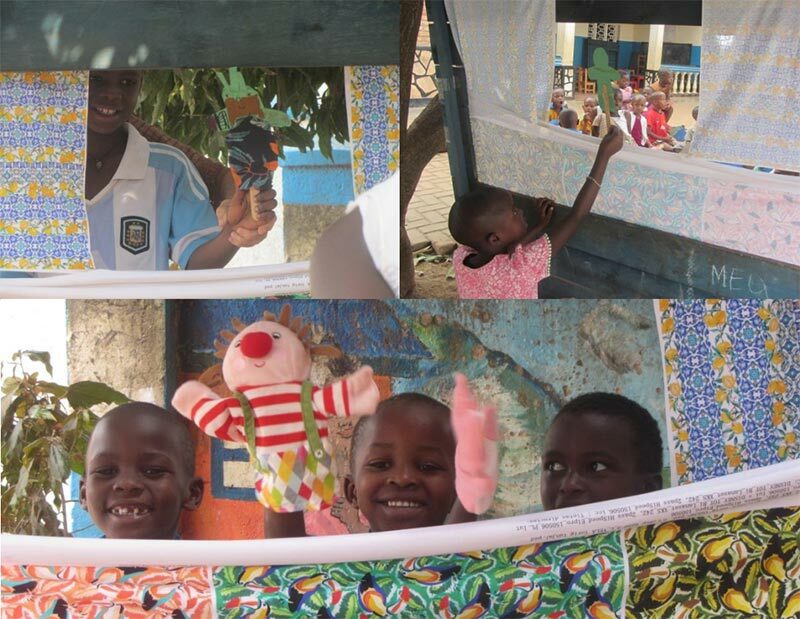 It was all new to the children but they soon loved it and couldn’t stop playing with their self-made puppets. Making masks with paper bags and painting them was really fun. 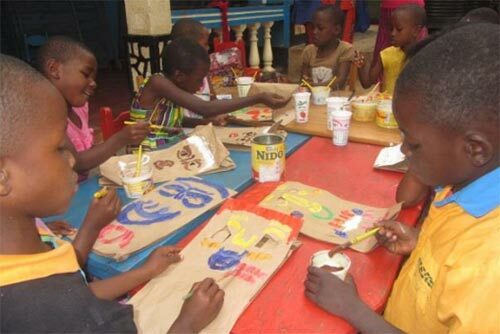 For many children it was the first time using paint but they used their imagination to make beautiful and colourful masks. They loved it so much that some continued making extra paintings. Holding a brush as well as scribbling with a crayon improves the fine motor skills of children. 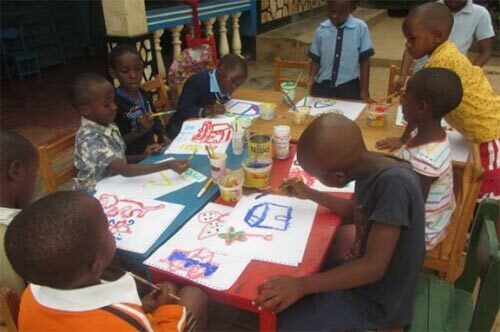 These two weeks of fun activities gave the children at Meg Foundation so many opportunities to develop their motor skills while their creativity is encouraged. 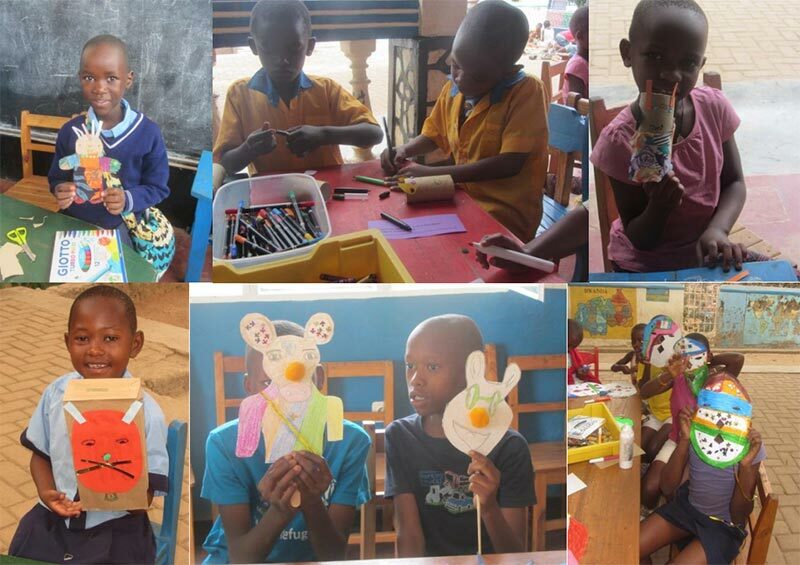 Once the children made their puppets, Elisabet introduced them to using them. The children were all ears to the stories she was telling. But now it was also up to the children to take a chance at showing their imagination. Between making puppets and playing with puppets there was also time for rugby. 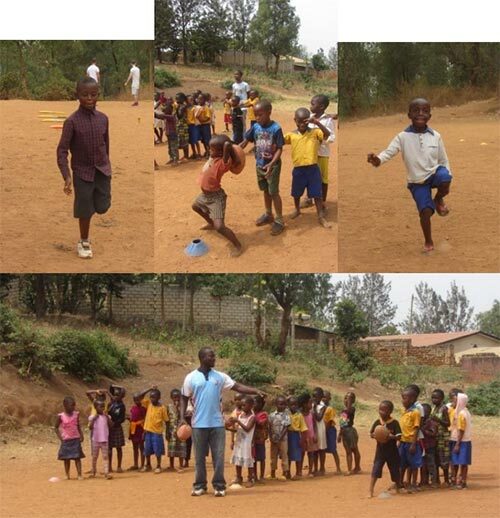 The rugby teacher introduced the kidsto the rugby ball in a playful way. Working together as a team was one of the goals in a lot of these games. 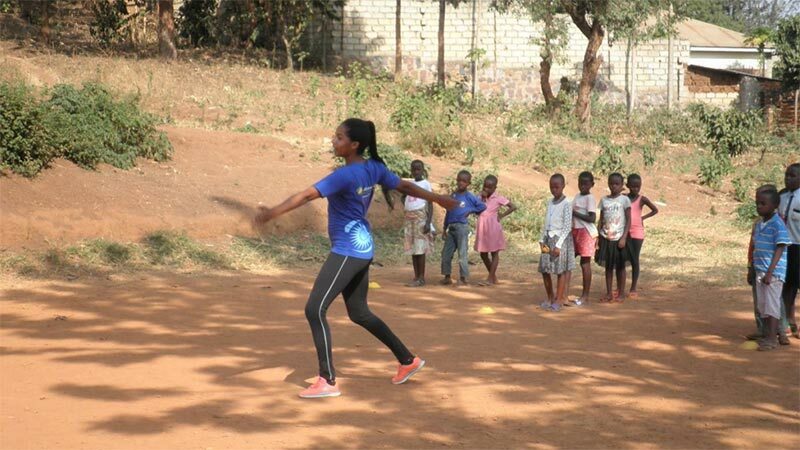 Sarah, a cricket coach, also spent some time with the children. 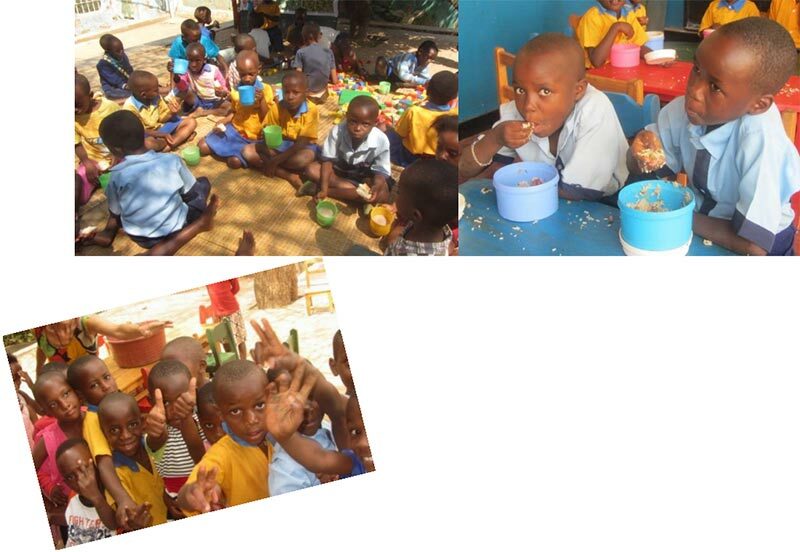 After the physical activities the children were so hungry, so porridge and, for some them, lunch was provided. First washing their hands, and then everybody was set to fill their stomach. The children had a wonderful time during these two weeks, packed with play, crafts and fun without realising they were learning new skills.